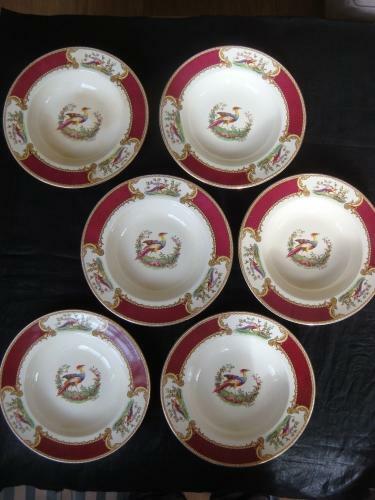 Set of 6 Stylish Bird Pattern Myotts, Royal Crown Staffordshire Dishes Signed by A.Roberts. They measure 25.25cms in diameter & 5cms High. 4 are in Very Good Condition with no chips or cracks. 1 has some staining from use & 1 has a small chip to its rim.